It’s almost December and our calendars are filling up with festive invitations, faster than you can say “Father Christmas”. We’ve got it all going on: from office parties, to seasonal socials and family obligations. Oh, and we also have to hold down those day jobs to fund these frolics! Ladies - it’s a lot - I hear you. With so much to think about, Diane Younes and her Sponge team have popped up at the perfect time to launch the city’s slickest at-home hair and makeup service, to help us look and feel fabulous for any occasion. Diane herself is the most impressive advert for Sponge, as she arrived to our meeting with meticulous makeup and her hair in a chic chignon. Her drive and determination is infectious and her personal connection to the brand is evident in every element of Sponge. 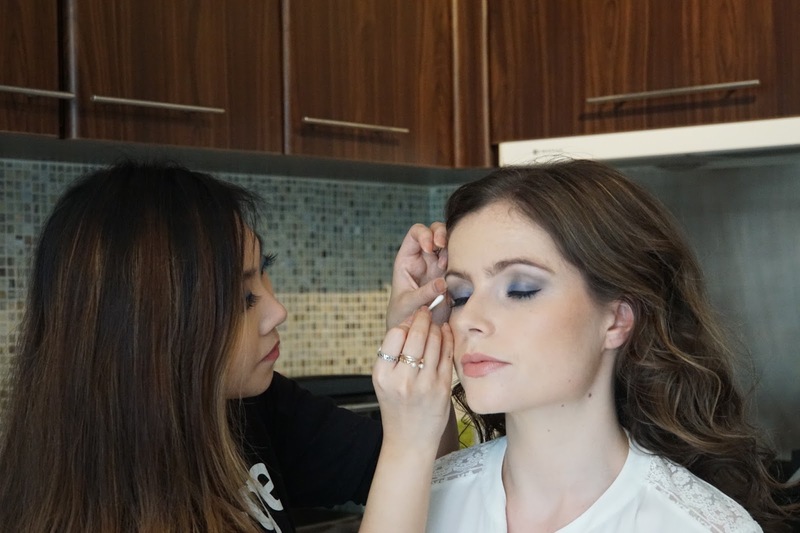 She is the epitome of a #girlboss - after leaving behind her corporate number in New York to move to HK - where she discovered that we were missing the effective, efficient and economical beauty services synonymous with NYC. Cue some serious hustle and the birth of Sponge, which offers women an extensive range of hair and makeup looks in your home, office or, anywhere that is convenient for you; all you need is a flat surface and a plug – genius! The whole process is a pleasure; start by choosing your desired looks from the website and locking in your preferred appointment slot. I decided to go for The Weekender hair which promised cool waves and an undone look and The Influencer makeup: a smoky eye, contoured cheek bones and a neutral lip. I was clearly going for Gisele vibes and while I, unfortunately, did not transform into an Amazonian Goddess (sob), I did feel super swish and pampered after my session! 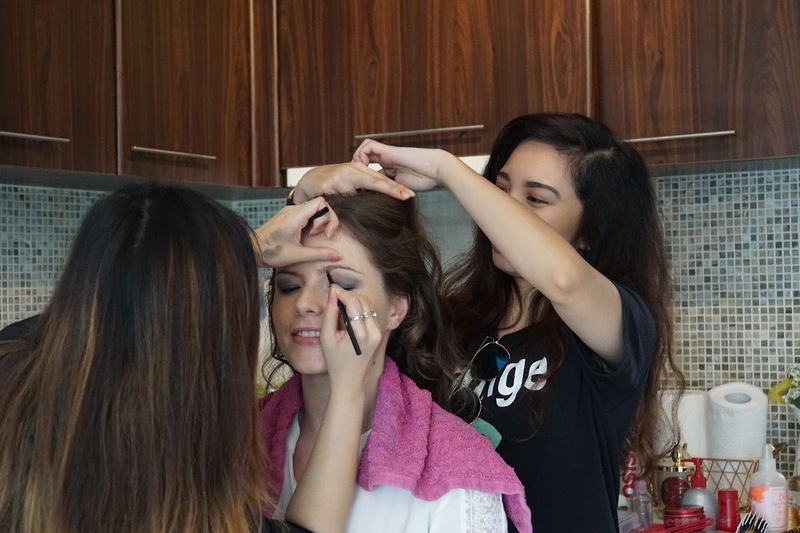 Appointments can be booked anything from two hours to one month in advance, with prices from HK$330 to HK$440 for hair and HK$440 to HK$550 for makeup. Eyelash extensions are also available and you can avail of a HK$50 discount off your first appointment, when you enter the promotion code “FIRST50” at checkout. 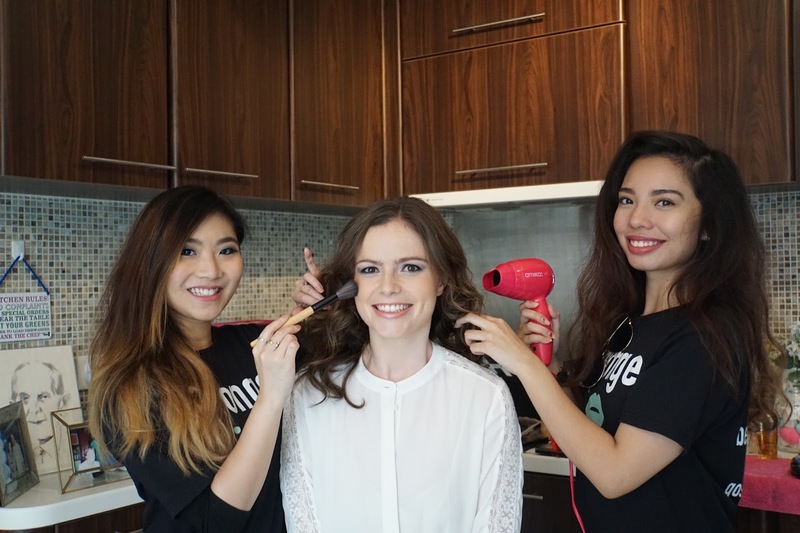 Happy pampering and here’s to a new way of doing beauty in HK!